We talk ad nauseam about anxiety’s impact on our wellbeing, but our collective death anxiety is so great we can’t even seem to broach the topic. It’s a problem so stupendous that it sometimes seems that the only thing we humans do is actively shut our eyes to the one fact about life: We all must die. People are rethinking the way we care for people at the end of life, realizing that we can have it go well or badly. So, we see the rise of a new practitioner, the death doula, who fills the gap in care between medicine and hospice, families and fear—and who is dedicated to giving people a better, more meaningful and peaceful death. Funerals are becoming less gloomily formal and funereal and more deeply personal—from the rise of celebratory “living funerals” to the return of creative home funerals. There is radical experimentation with how we dispose of and consecrate our dead, such as the surge in all kinds of eco-friendly green burials that “replant” us in nature. There are so many more platforms and workshops meeting people’s hunger to just talk about the topic, such as the global rise of death cafes. More people are exploring alternative wisdom and practices around death from cultures worldwide, whether guided death meditations at a Zen Buddhist Center or studying the ancient Stoics’ death acceptance techniques or just downloading the WeCroak app, which serves up daily Tibetan meditations, reminding us that we’re going to die. People are even traveling to have the caring and spiritual death they seek. The media can dismissively state that “death is hot right now,” but we’re seeing signs of a desperately needed awakening about how the silence around death hurts our lives and our world—and how we can work to restore some humanness, sacredness and our own values to the death experience. While a 2018 Pew Research Center global survey shows that most people around the world still claim a religious identity (such as Christian or Hindu) formal religious practice is on the decline. And there is a striking age gap: out of 106 countries studied, adults under 40 are significantly less likely to be affiliated with a religious group than those over 40, and the gap is big in Europe and North America, and with nations like Korea, Australia, Japan and the Scandinavian countries having some of the most striking gaps. The world is becoming more secular and agnostic, and with formal religions not “handling” as many of our deaths as they used to, new rituals are rushing in. More people are adopting a “hybrid” spirituality, where you might do the Jewish family holidays and also practice yoga or meditation. Harvard Divinity School researchers Casper ter Kuile and Angie Thurston have dubbed this phenomenon religious “unbundling,” which refers to people now picking and choosing elements of different spiritual traditions—and they have even explained how belonging to a wellness studio, such as CrossFit and Soulcycle, functions as a religion for their members. Thanks to the Internet, people are increasingly gathering more ideas about spiritual traditions (and hence death traditions) from a variety of places, and it’s giving rise to a more individualized (sometimes make-it-up-as-we-go) approach to how we want to die. If tending to the sick and dying (and the funeral) were handled in the home until the 20th century, since then, especially in the West, caregiving for the dying has taken a terrible dive. Death has become medicalized: We die in the cold environment of hospitals and nursing homes. And while hospice care rose in the last decades to provide pain relief at home over our final weeks, it serves a tiny percentage of the world’s population. The intense urbanization of the world (more than 50 percent of us now live in cities) adds to the disconnection and loneliness of the old, sick and dying, with so many more people dying alone. In aging Japan (where one in four people are over 65), this sad reality is so common that it has a name, “kodokushi,” or “lonely death” (where people’s bodies are not found for weeks). A popular Japanese magazine sounded the alarm in 2017 that there are “4,000 lonely deaths a week” in the country. With too many people dying unhappy and inhumane deaths, finding a better way is taking on a new urgency. The oldest of the baby boomer generation (born 1946–1964) are now in their 70s, and, if they have been the generation that redefined aging and pioneered the wellness movement, they are also now poised to redefine dying as they face their own mortality—from what end-of-life care looks like to what the future of funerals and burials will be. UK-based Beyond, a funeral cost-shopping site, made headlines in 2018 when it ran a series of ads aimed at humorously shaking up taboos around death. Two recent forces are exacerbating the death-denying culture we increasingly live in. One is a series of high-tech start-ups, mostly from the global Silicon Valley, that aim to “cure death” and radically extend life. The second is a wellness world that increasingly sells a life that’s an eternal pursuit of never aging and not dying. There are technologists bent on using AI and robotics to extend our “life” and “minds” indefinitely: Elon Musk has argued we need to become cyborgs to survive the coming robot uprising, and his brain-computer interface company Neuralink wants to create a new era of transhumanism; the 2045 Initiative has a mission of uploading our personalities into an artificial brain when we die to live on as virtual holograms floating around space—but somehow still thinking. The New Yorker notes that every announcement of a research breakthrough on reversing aging so far has been followed by setbacks. Some are closer to reality (and to market) than others. Unity, a biotech with investors such as Jeff Bezos and Thiel, is the pioneer in eliminating senescent (or what they call “zombie”) cells, which spread chronic inflammation in the body and are related to things such as dementia and cognitive decline. Their trials show their treatments delay cancer and increase median lifespan (in mice) by 35 percent. Their first human trial is underway, but their solution wouldn’t hit the market for at least seven years. With the gene-editing tool CRISPR, scientists are more confident that we’re on the cusp of a disease-eliminating, anti-aging gene therapy era—and Harvard researchers have identified 45 promising, live-very-long gene variants, including from people who have lived to 110. Some already-here approaches with promising research: taking Metformin, the diabetes medication that may reduce DNA damage and keep cells healthy or Rapamycin, an immunosuppressant that keeps aging cells regularly reproducing. Over the last couple of years, the wellness world has been taken to task for many things, from being too wealthy to too white. More recently, the criticism is sharpening around how its marketing of constant self-optimization and anti-aging cures is compounding the fear of aging and death. Sheldon Solomon, professor of psychology at Skidmore College and one of the thinkers that forged the Terror Management Theory in the 80s, which argues that our conscious and subconscious death anxieties drive a lot of what we do, recently put it quite baldly: “Wellness is a 21st-century secular belief system that, psychologically speaking, is fundamentally directed at avoiding death anxiety…Because, in part, it’s convincing oneself that the right regimen of diet and exercise will either keep you perpetually young or… perpetually alive.” This critique is also front-and-center in cellular biologist Barbara Ehrenreich’s provocative, honest 2018 book, Natural Causes: An Epidemic of Wellness, the Certainty of Dying, and Killing Ourselves to Live Longer, where she argues that the two defining factors of modern life, a perpetually medicalized existence (endless tests, etc.) and a commercialized wellness world that equates health with virtue, are conspiring to make us radically unprepared for aging and dying… turning it into some kind of unnecessary evil or personal failure. Most people in the wellness world would reject the position of Silicon Valley technologists crying for a world where “death is optional,” and would argue instead that the point of exercise, healthy food, social connection and stress-reduction is to not only live longer but to be more well while we do live. (And there’s ever-increasing medical evidence that those pillars extend life.) But whether you aim to live to be 100 or 1,000, almost nobody is digesting the profound social, economic, moral and environmental issues that will arise if much longer lives become the norm. The Earth is already running out of resources, and climate change is at the disaster stage. Will it become a choice between our long lives and reproduction (mandating zero population growth)? What is a world without new generations and ideas? Who takes care of all these old people? Where will they live? How can social welfare and Social Security be sustained? We already have a wealth inequality crisis, and given the likely price tags of these life extension technologies, will we live in a world where only the rich don’t age? Which cosmetic procedures are already making a reality? Why would we spend our money and energy on radically extending lives when we aren’t even investing enough in people’s quality of life as it is: in healthcare, education and a clean environment? The surgeon Atul Gawande, in his important book Being Mortal: Medicine and What Matters in the End, which is about controlling the narrative of one’s own life until the very end, argues that more meaningfully “solving” the “problem” of death would mean funding improvements in palliative care and making people’s end of life more comfortable. To understand how we arrived at our moment where death is denied and feared in unprecedented ways, both the medical and wellness worlds need to grapple with their complicity. With medical advances now pushing to dramatically extend life, and a wellness world that promises you can stay “forever young,” the problem has only ratcheted up. The death-positive movement, we predict, will only keep rising as a corrective backlash. The rise of death doulas are an important aspect of the Dying Well trend, inventing new—and restoring lost—positive and personal rituals around dying. 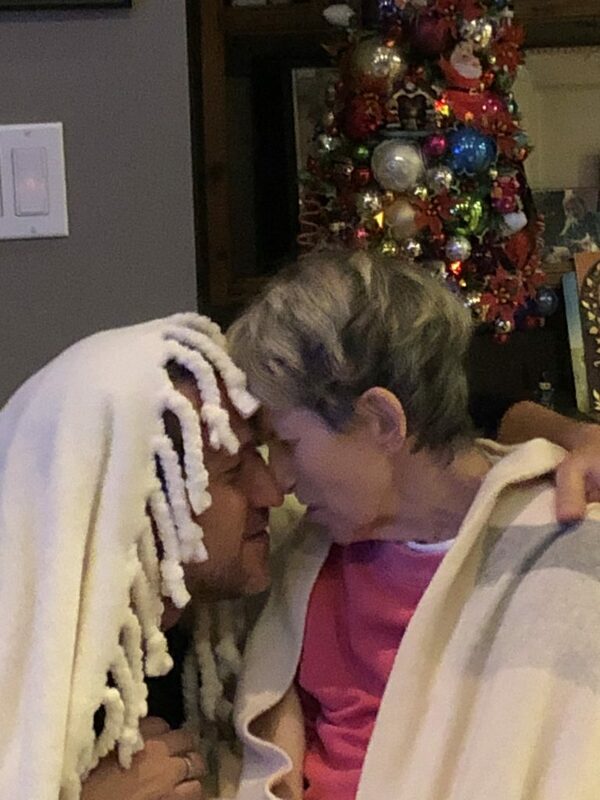 INELDA end of life doula, Doug Simpson, shares a powerful moment with his patient Marilyn. Death has become medicalized, hidden and lonely. Medicine does its best and then is finished with you; hospices provide much-needed palliative care, but a yawning support gap exists. We need more caregivers that give the dying their full attention and companionship and work to meet their unique physical, emotional and spiritual needs during their extraordinary last days or months, in essence, to deliver people a better death. It’s a painfully pressing cultural need, and to meet it, a new class of wellness practitioner—the death doula—is fast arising. Death doulas are like death coaches and are trained to deliver continuous, kind and honest support before, during and after death occurs. And while the spectrum of what they provide varies, they’re essentially inventing new—and restoring lost—positive and personal rituals around dying, creating a special space around the event. A crucial aspect of what they do (whenever possible) is to actively engage the individual dying in the process, not only by helping them do soul work, such as talking to them about their fears and anxiety (which no one ever does), but also helping them plan what they most desire in their final days. They ask a whole lot of questions. What spiritual traditions do you embrace? What music do you like? Do you want to be in the hospital or your bed at home? Who do you want beside you as you’re dying? What exact kind of funeral do you want? What exact kind of burial or cremation? Are there any “bucket list” experiences I could reasonably do with you? Even, how do you want your social media handled at your death? Death doulas report that people are far more likely to tell them these things than they would friends or family. Death doulas are also super focused on helping the dying create living legacy projects so they take a creative role in the stories they leave behind. They help them create artistic things, such as memory books and boxes, audio and video recordings, letters, interviews, collages and scrapbooks, so they can review and process, and leave behind, who they really are. They often serve as scribes and communicators, from helping the dying make amends with estranged friends and family members to writing letters to loved ones to be read at a future wedding day or birthday. Death doulas not only sit with the dying and bear peaceful witness, but they also create rituals and experiences to soothe the dying. Respecting each person’s spiritual background, they recite prayers and contemplations—from Hebrew psalms to Buddhist death meditations. They play music (which has such good evidence of benefit for sick and dying people), light candles, hold hands, and watch sunsets. Because many death doulas come from careers in the healing arts, they often deliver much traditional wellness to help with anxiety and pain: memory-triggering and calming aromatherapy, massage, meditation, conscious breathing exercises, reiki or guided visualizations that can take the dying hiker or surfer on detailed journeys through the forest or on the waves. And death doulas provide powerful support to family and friends: communicating what the patient wants, giving the family time to rest, keeping people informed of their status, and helping them with grief. Some doulas are paid by the hour or by a retainer or are free volunteers, and relationships can last days, weeks or months. Some have private practices, while others work with hospitals or, increasingly, hospices. And there are ever more doula training programs and businesses launching around the world. The first to train and certify professional death doulas was the nonprofit International End of Life Doula Association (INELDA), whose directory connects people to doulas in the US, Canada, Mexico and Brazil. Other training programs include the Art of Dying Institute, International Doulagivers Institute, Lifespan Doula Association (LDA), Quality of Life Care, the Doula Program to Accompany and Comfort, the Conscious Dying Institute and End of Life Doula-UK. Australia’s death doulas have taken action to gain national government accreditation in 2019. In the US, the University of Vermont’s College of Medicine just became the first university to offer a Doula Professional Certificate program, and the National Hospice and Palliative Care Organization in Washington, D.C. formed an end-of-life doula council in 2018—a sign that doulas are really being recognized. Given the keenly needed service they provide—making each death better, more meaningful, and more human—it’s no surprise that each of these organizations reports a big uptick in inquiries about hiring doulas and doula training. We’re going to see demand spike for what the death doula concept can provide wherever people die, whether at home or in a hospital. And Fersko-Weiss of INELDA thinks that some insurance companies will start to offer partial reimbursements for their services, just as they have for birth doulas. If modern culture is the first to pathologize any interest in death, now there are many more places and platforms to finally come together and have a real conversation about it. So many blogs, podcasts and YouTube channels explore all aspects of death, such as young, LA-based, celebrity mortician Caitlin Doughty’s no holds barred YouTube series Ask a Mortician, which dives into things such as how corpses decompose and attracts hundreds of thousands of viewers. There are many events, such as Doughty’s “death acceptance collective”; The Order of the Good Death, (whose mostly millennial members are academics, artists, funeral industry professionals, etc. ), which hosts a number of events around the world, such as Death Salons that explore ways to “prepare a death phobic culture for their inevitable mortality”; or the weeklong Reimagine End of Life Festivals held in NYC and San Francisco, with hundreds of workshops, performances and exhibits all exploring death. More cemeteries are becoming places of both fun social gathering and death exploration. For example, Green-Wood Cemetery in Brooklyn hosts cocktail parties, performances, moonlit tours and yoga classes and is home to Morbid Anatomy, which hosts art exhibits, lectures and conversations on how death and culture intersect. And nothing is more globally accessible than Death Cafes, a formal movement forged in London in 2011 in the basement of the home of a man named Jon Underwood, who created the concept of people coming together to drink tea, eat cake, and talk pointedly about all things death and dying. Underwood created a website and guidelines for productive discussions, and now there have been over 7,500 death cafes held in 63 countries—from big cities to rural New Zealand and Senegal. People gather in restaurants and other spaces (they’re typically free, and there’s always food and drink) to talk openly about everything they want to about death and dying: from what it’s like to experience to confronting our fear of it to funeral options. Attendees report there’s always much laughter…that sure sign of catharsis and relief. Visit deathcafe.com to find the nearest to you. Green, or woodland, burials are on the rise. The body is wrapped in a plain shroud made of natural fibers and placed directly in the ground or in a biodegradable coffin made of bamboo or seaweed or unfinished pine or oak or handwoven willow baskets, such as those available at Ecoffins. There are typically just simple markers, such as trees, or locations are only identifiable by GPS. People say everything is always being “disrupted,” but in the case of funerals, it’s simply true. We know what happens formally in religions: If you’re Muslim, your body is bathed and shrouded in white cloth before the community gathers to recite the prayer for the dead; in Jewish tradition, the family sits Shiva, where the mourning remain at home and loved ones call to pay respects; if you’re Catholic, Last Rites are said bedside followed by a vigil for the deceased and a formal Mass. But as people become less yoked to formal religions or have embraced a life of more flexible spiritual identities—and as more people see the memorial as more about representing a unique person rather than a (sometimes intimidating or joyless) religious practice—funerals are being rewritten in every way possible. People are creating more individualistic, less “funereal” celebrations…a whole new world of farewells. There’s the rise of “living funerals,” gatherings that celebrate a dying person while they’re still alive, and where the person of honor can be part of the festivities. These are not hushed, gloomy events: The person facing death and their friends and family eat, drink, laugh and tell stories (they’ve even been called FUN-erals). And it would seem to have real psychological benefits: The dying person and their loved ones can show gratitude toward each other, grieve together, and leave fewer things unsaid. The funeral business has had people over a barrel: What they deliver to stressed, time-strapped people has been rather mysterious and deeply uncompetitive. The average American funeral runs around $9,000, while in Japan it can run many tens of thousands. Enter the Internet, and now comparison sites are providing a clearer window into options and prices. And some funeral companies are stripping away the language of hand-wringing gloom-and-doom to create a different, less clichéd, conversation about death and funerals. JWT Intelligence named digital, direct-to-consumer funeral companies turning the business into something shoppable one of their top consumer trends for 2019, noting how these innovators are “reshaping long-held cultural norms surrounding death.” And they point to other big changes globally, such as how, in China, a fast-growing number of people are starting to arrange their own funerals ahead of time, and, for the first time, are picking out their caskets, urns and flowers in advance. The green burial wave is pushing the envelope to speed the return to nature. 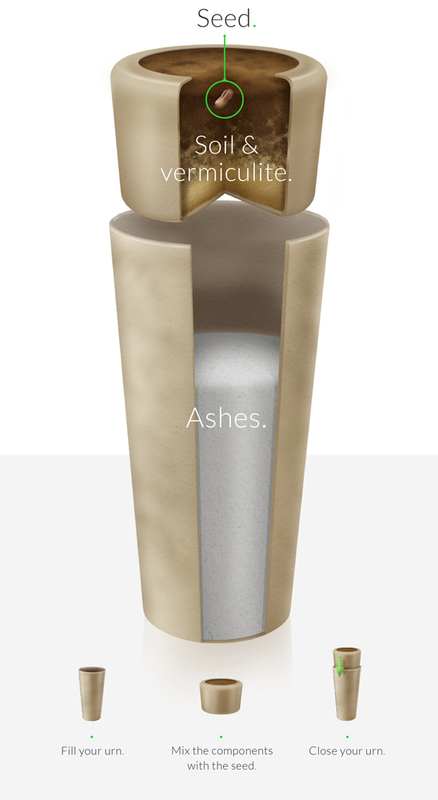 Bios Urn®, the world’s first biodegradable urn, is designed to convert your remains into a tree after life. The ways that different cultures return their dead to the universe varies wildly. Tibetans still practice sky burial, leaving bodies on mountaintops to be picked clean, while the Caviteño in the Philippines place bodies in hollowed-out tree trunks. The US and Canada are unique for adopting embalming, a just as bizarre (if you really think about it) practice that started during the Civil War and involves replacing the blood with a formaldehyde-based fluid so the body can then be displayed in a decorative casket and buried in a concrete or steel vault in a grave. Most people in the world where customs are ancient (from Europe to Asia) embrace some form of cremation. But now, as our cemeteries become overcrowded landfills and people have become more aware of how environmentally toxic embalmment, vaulted burial and even traditional cremation is, there is a sudden inventiveness and surge in eco-friendlier (and simpler and cheaper) “burial” options. We’re seeing some seriously out-of-the-box thinking about how we want to dispose of and commemorate the dead. The embalmment and nondegradable casket method of burial is an Earth killer: Every year in North America, for example, 800,000 gallons of carcinogenic and contaminating formaldehyde is dumped into the soil, along with 115 million tons of casket steel, 2.3 billion tons of concrete, and nondegradable hardwood for caskets that equals four million acres of forest—all of which take centuries to degrade. Cremation is relatively less environmentally destructive, but estimates are that the energy required to cremate one body is equal to driving 4,800 miles—and cremation still spews toxic carbon dioxide, dioxin and mercury into the atmosphere. Cremation, in general, is on the rise, in part because of the much lower costs: Since a traditional funeral and viewing hits $9,000, now more people are following David Bowie in his choice for a no-frills direct cremation (where ashes are simply returned to friends and family for scattering) at the cost of around $1,000. Yes, people are more eco-conscious now, and they’re digesting these facts, but the powerful demand for much greener burials also represents a deep psychic need we have to somehow return to nature, to be restored after death to our place in its mysterious, eternal cycling and recycling. (Even if we left the lights on our whole life and drove a gas-guzzling SUV, we increasingly crave this natural return.) That’s why green, or woodland, burials are really on the rise, where everything that goes into the ground or sea must be as biodegradable as the body. It goes like this: the body is wrapped in a plain shroud made of natural fibers (the company Vale offers personalized, artisanal ones), and the body is either placed directly in the ground or in a biodegradable coffin made of bamboo or seaweed or unfinished pine or oak or handwoven willow baskets, such as those available at Ecoffins or the Natural Burial Company. There is no concrete vault to bury, so the hole is dug only a few feet from the surface: far enough down so it’s protected from animals but shallow enough so the aerobic bacteria can digest the cells. With green burials, there are typically no tombstones, just simple markers such as trees or only identifiable by GPS—and people are typically buried in unspoiled woodland rather than crowded cemeteries. In North America, the Green Burial Council has certified more than 300 green funeral homes and burial grounds and, in the UK, the Association of Natural Burial Grounds has helped create over 250 woodland burial sites. Cremation is going green. People are insisting on biodegradable urns (whether made of Himalayan sea salt or gourds) or those from Bios Urn®, made of a coconut shell and peat that contain the seeds of the tree that you most want to become. More people are choosing “wet cremation” (or resomation or alkaline hydrolysis), which uses water and a salt-based solution to rapidly dissolve human remains, returning only ash to the family, and releases no chemicals and uses 80 percent less energy than regular cremation. It’s legal in 15 US states and three Canadian provinces, with some countries in Europe considering approval now. Washington just announced it might become the first US state to legalize human composting (recomposition) which involves placing bodies in a vessel that speeds their decomposition so a nutrient-packed soil can be returned to families. So they can let their loved one re-bloom. The green burial wave is pushing the envelope. You can buy a mushroom burial suit (such as those from Coeio) lined with flesh-eating fungi that speed up your return to nature—the choice of famed organic chef Alice Waters. You can be turned into an “eternal reef” and become part of a living ocean habitat: Your cremated remains are mixed into a cement artificial-reef formation (such as those provided by Eternal Reefs). A Swedish company called Promessa has created a way (using liquid nitrogen and sound waves) to break down a body into compost in just 6–12 months to grow a tree or garden. 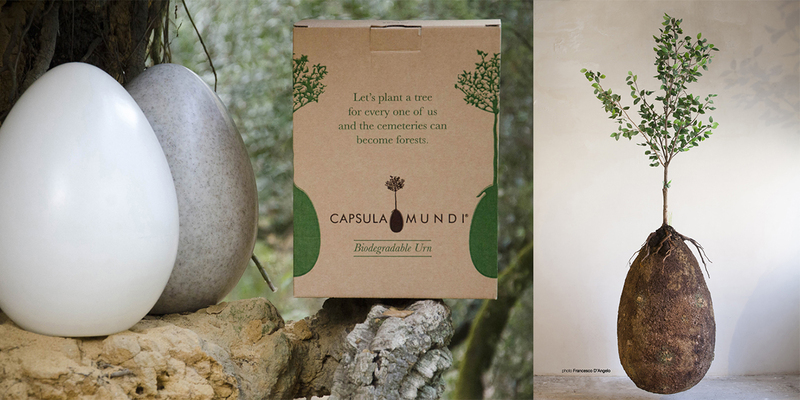 An Italian art project recently made waves with its biodegradable egg-shaped burial pods called Capsula Mundi, where a buried body or ashes feeds a tree planted directly above it—the perfect (and Instagrammable) eco-memorial. An Italian art project made waves with its biodegradable egg-shaped burial pods called Capsula Mundi. The buried body or ashes feed a tree planted directly above, creating an Instagrammable eco-memorial. Actively exploring death and working on one’s fear of it is becoming a wellness practice for more people—and many more classes and events are launching to help. At NYC’s Art of Dying Institute, experts lead workshops (for everyone from doctors to death doulas but also for the general public) on an amazing series of holistic approaches for understanding death. 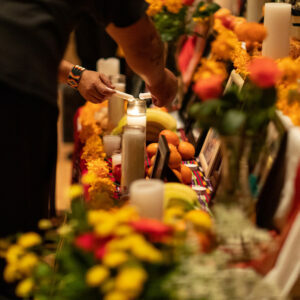 In Los Angeles, the Sacred Crossings Institute for Conscious Dying offers death exploration classes not only for care professionals but also for anyone that wants new tools to help with death anxiety—from practices such as the life review and guided meditation-based “death rehearsals.” At the Reimagine End of Life Festivals, immersive experiences that meld art and death are offered, from being invited into a phone booth to have the conversations you wish you had had with someone you lost to role-playing in a fictional bereavement group. Given the almost complete denial of death, especially in the West, there is little fear that we will become obsessed, melancholy goths who can’t stop trolling graveyards, and the goal in training is to achieve a balance between death acceptance and happy living. Some people find wisdom about death in the religious traditions they’re born to. But with more people adopting a hybrid spiritual identity and seeing their life as a constant, fluid soul-seeking, they are actively exploring the practices around death from other cultures, past and present. Just opening your mind to how incredibly different cultures of death are around the world is therapy itself. That’s the point of Caitlin Doughty’s book, From Here to Eternity: Travelling the World to Find the Good Death, which journeys around the world, from Indonesia to Bolivia, to intimately experience rituals that may at first seem wildly foreign to us, such as children sharing beds with their mummified grandfathers or experiencing an open-air funeral pyre in Colorado. Or check out the blog Morbid Anatomy, devoted to the wildly diverse ways that cultures around the world experience and represent death. Stoicism is very much a mental wellness practice, and it makes you wonder why the wellness world is so narrowly focused on ancient Eastern traditions while seeming so blind to ancient Western ones. You can read Epictetus’s classic treatise The Handbook or Ryan Holiday’s The Obstacle Is The Way to dig in. Both are short and accessible, or try How to be a Stoic by Massimo Pigliucci. Sign up online for The Daily Stoic if you want a free, seven-day dive into Stoic teachings. We would be remiss not to mention how a new age of mediums, whose purpose is to bring people messages and guidance from their departed family and friends (their “spirit guides”), is very, very much a thing. Mediums, such as Tyler Henry, Laura Lynne Jackson or Erica Korman, are the new wellness gurus, and they’re leading group, connect-with-the-dead happenings in cities all over. And whether you’re a believer or not, anyone that has experienced them will likely feel that they function as a kind of empathic group therapy where people work out unresolved issues with those who are gone and collectively explore loss and death. Because these “new mediums” have had a starring role at Goop conferences (Goop’s website has an entire section on death and wellness), they have been eviscerated by some corners of the media as an example of the wellness world exploiting and commodifying death. But rather than snarkily dismissing the phenomenon, it obviously expresses some real need. After all, famed French sociologist Emile Durkheim in his seminal work The Elementary Forms of Religious Life wrote: “The…most fantastic rites and the strangest myths translate some human need, some aspect of life, either individual or social,” and the new spirit-guide-summoning medium experiences evidence a hunger to make sense of our beloveds’ deaths and to hash it out as a community. And the world—and the wellness world—should ponder hard why the most passionately sought-after (yes, trendy) wellness experiences right now involve the “switching on” of belief—whether shamans or crystals or mediums. The term “death tourism” typically refers to people traveling to places (such as the seven US states, the Netherlands or Switzerland) where the suffering and terminally ill can arrange medically-assisted suicide—such as the Swiss society Dignitas, which has helped over 2,100 people die humanely. But the term may start to mean more than that. GWS keynote speaker and renowned wellness-spaces designer Clodagh has stated, “If I found out I had a few months to live, I would go to a spa.” And in talking to wellness travel insiders, we found out that a rising number of people with terminal diagnoses do, in fact, do just that—either for a healing, peaceful, stress-reducing retreat before they return home to face death—or even to die there. This is not something a wellness resort will reveal or promote—we couldn’t get any names. But there are, for instance, Buddhist centers around the world that welcome those facing death and seeking an inspired, healing and peaceful end. Rigba, an international network of Buddhist centers, has the goal of creating a “quiet revolution in the way we care for the dying,” and their spiritual care center and wellness retreat Dehen Shying at Dzogchen Beara in west Ireland, welcomes people with serious illnesses, such as ALS, cancer and MS, (and their families) for Buddhist-grounded healing and reflection as death approaches. Sukhavati, located in the old spa town of Bad Saarow outside Berlin, is a Buddhist house of both the living and dying, offering extensive medical and palliative care services—but with the goal of putting the ill and dying’s spiritual care first and with staff intensely trained in mindfulness and compassion. At Sukhavati, everything’s geared toward helping the ill and dying find true meaning and acceptance and to die with as much dignity and as little suffering as possible. (People can stay weeks, months or years.) And one sign that more cross-pollination of ideas is happening between the traditional wellness world and the death and dying world was when Sukhavati recently invited the wellness hospitality company Raison D’Etre to their spiritual care center to better understand how to apply key wellness approaches not only to the living but to the dying as well. And Raison D’Etre took back a new inspiration to deepen its offerings to work with the elderly and ill in new projects. These are the kind of cross-pollinations between wellness and dying professionals that the world needs more of—and that will rise in the future. Since last year, the psilocybin research and action has really heated up. Well-funded COMPASS Pathways is conducting major clinical trials on psilocybin in Europe—and the FDA recently granted them “breakthrough therapy designation”—the first time in US history that a psychedelic was fast-tracked for approval as a treatment for depression. The nonprofit Usona Institute has also received FDA approval for their new psilocybin trials on depression. Suddenly, researchers are predicting that magic mushrooms will become legal medicine (not for recreational use but administered by trained therapists) within the next five years. Oregon, for instance, is pushing to place legalization on the 2020 ballot. Things are moving fast. Magic mushroom retreats are slowly mushrooming, such as early movers MycoMeditations in Jamaica, and Alquimia-Centre of Healing Arts in Colombia. 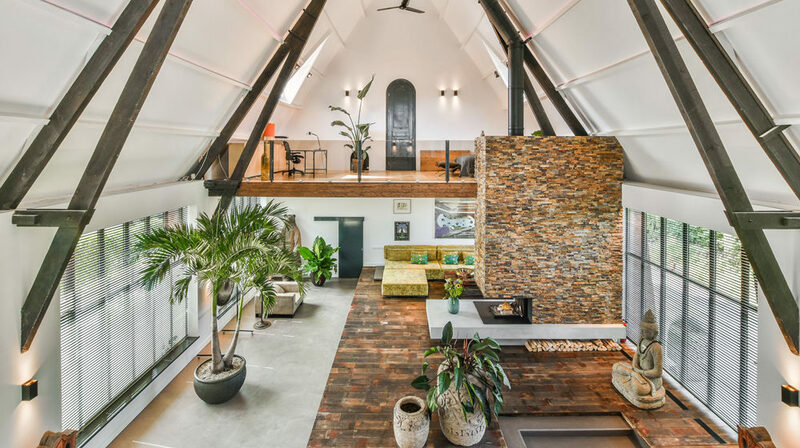 The standout new destination is Synthesis in the Netherlands, which has the vibe of a chic wellness resort and combines the psilocybin experience with wellness approaches, such as yoga, breathwork and sound meditation. Because it’s so important for people undertaking magic mushroom therapy to have a safe and structured experience, it’s very notable that, at Synthesis, every application is screened by a medical doctor, a nurse is on site at every retreat to ensure people’s comfort, and medical best practices are the guide. But for people open to the experience, professionally administered psychedelics, such as psilocybin, look to have an important future for helping people face sickness and death. We can’t forget the provenance of the research: psilocybin’s eye-opening benefits for the sick and dying. And in the future, we will see more clinics and retreats specifically welcoming or designed for them because the early evidence indicates psilocybin needs to be a bigger part of the “dying well” toolbox in years to come. Magic mushroom retreats are slowly mushrooming. There is early evidence that psilocybin has a powerful impact on the intense emotional distresses that come to those facing end of life—and will be a bigger part of the “dying well” toolbox in years to come. Psilocybin experiences at Synthesis in the Netherlands are screened by a medical doctor, a nurse is on site at every retreat to ensure people’s comfort, and medical best practices are the guide. Death is a growth industry. This is not a cold, calculating statement; it’s an overwhelming fact. Because lifespans worldwide are growing ever longer (up 30 years in the last century), we have not only lived lives where we can delay the fact of death, but it also means a serious rise in the number of deaths is straight ahead. The World Health Organization forecasts that global deaths will jump from 56 million in 2015 to 70 million by 2030—a staggering 25 percent growth. In most developed countries, the 85–94-year-old age bracket is the fastest-growing population segment. We’re both living longer and dying slower: Most of us will die from chronic diseases, such as cancer and heart disease, and suffer from a number of medical problems in our last years along with physical issues, such as pain or breathlessness, and mental wellness issues, such as cognitive decline, loneliness and a thirst for spiritual support. How we care for people at the end of their lives is one of the biggest wellness challenges the world faces. It’s important to remember that the modern culture of extreme death fearing is a pretty recent phenomenon—a blip in human history—that really kicked in with the rise of Western medicine (where death is still seen as a failed “outcome”) and by the outsourcing of the care of the dead to funeral homes. But what’s so amazing is that there have been more changes in attitudes and practices in the last couple of years than there have been in the last 150. As we’ve seen, there’s a whole new movement brewing about being more open about death, with people actively working on their fears, pushing to make the dying process better and more humane, and reinventing the memorial and funeral. With death, almost everything is now under review, and that will only ramp up. Don’t underestimate the force of baby boomers in this shake-up. They are rewriting aging, and you see it everywhere, such as Joie de Vivre founder and former Airbnb exec Chip Conley’s new venture, the Modern Elder Academy (a three-acre wellness resort in Baja California, Sur, Mexico, with more coming) that aims to create a whole new category of destination: middle-aged “wisdom schools” where people learn to transition and reinvent themselves in midlife—whether rethinking their careers or grieving a loved one. This generation will insist that a good death is part of a well life. But the wellness space has been too focused on pushing never-age solutions and messages and needs to get dramatically more aging, illness and death inclusive. We need new wellness solutions tailored for the ill and dying and their particular conditions and states—the right nutrition; the right movement and touch therapies; the right environmental approaches from lighting to aromatherapy; the right sleep and stress-reduction approaches, whether breathwork, meditation and brain exercises—and we need better concepts of senior living and places to age and die (in place). It’s not only the future…it’s the profoundly right thing to do.